My Adventure – Crossing Borders, Fundraiser Result! 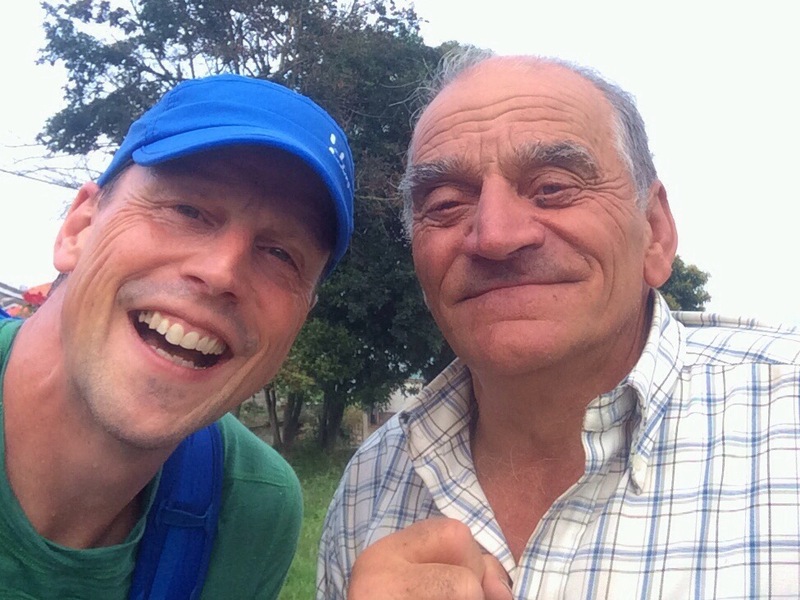 This wise man in a village in Asturias asked me why I did what I was doing. A good question and after a few seconds I told him about Crossing Borders, the fundraiser for Doctors Without Borders and how I wanted to bring attention to their work in order to engage even more people. I am glad I met this man, the answer to his question stayed with me during my adventure and helped me when the going was tough. 330km in 8 days, I must have been crazy!! This has been the toughest challenge I have undergone so far. At times I seriously questioned what I was doing. It was tough but it was also a great experience. All the positive feed back along the way and thinking about the good cause, kept me going. Looking at the end result of the project and the fund raiser makes me want to go out again. The final number collected to the emergency fund of Doctors Without Borders was SEK 72 700 via the Crossing Borders fundraising page!! Together we can truly make a difference! My adventure, Crossing Borders, has brought attention to their work and inspired others to either become monthly donation subscribers, to send in extra gifts to their cause or even start their own fund raisers! Crossing Borders managed to engage 10 000+ people through different channels like Doctors Without Borders, Spanish Tourist Bureau, Supporting Sponsors and more. Thank you all for spreading the word! 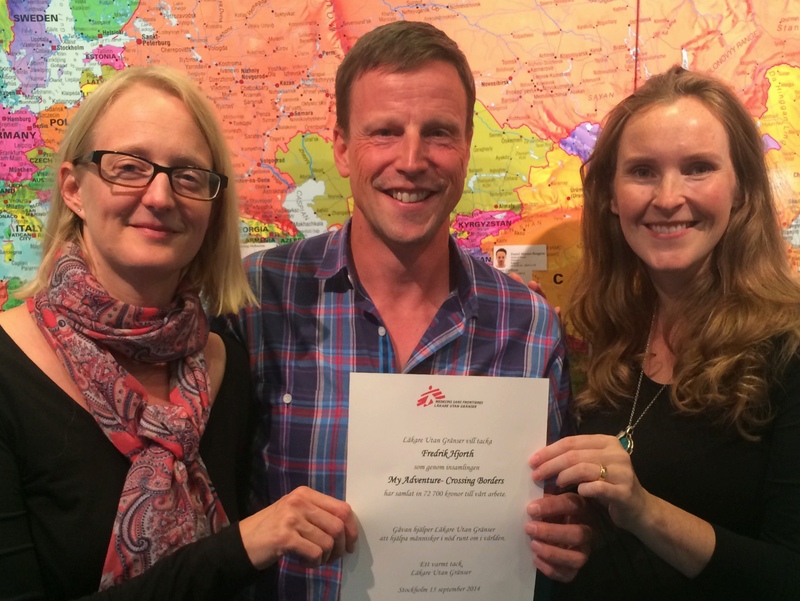 This week I met with Antonia Danielsson and Anna-Karin Modén at Doctors Without Borders in Stockholm. it was really good to meet them and to be able to present the project and the results we have achieved. It was a happy ambience and I tried to answer all their questions about the expedition and preparations. We also discussed possibilities moving forward. So stay tuned! A special thank you to all of you who have participated in the fundraiser. I could not have done this without you! This fall I will be presenting Crossing Borders at different events and settings in order to continue spreading the message that we can all make a difference. I have completed one already and the response was great! For those of you in Sweden who would like ot partake by sending in a gift to Doctors Without Borders, then send an SMS with the text LIV to number 72970. You will then give SEK 100 once to their emergency fund. If you would like to become a monthly donor or donate another sum, then please use their SMS service by clicking on this link.